Green Tea: A Metabolism Miracle? Celebrities swear by it...but how realistic are their claims? According to the following dedicated stars, green tea is essential in staying thin. Giuliana Rancic: "I drink two to three cups a day. I have gotten a few people at work on tea (instead of coffee) and they looove it!!! Coffee can actually hold onto fat whereas green and oolong tea flushes fat out (love that)." Metabolism booster - contains both caffeine and EGCG, an antioxidant that is known to burn calories by raising body heat; studies show that green tea can can burn an extra 70-90 calories a day. 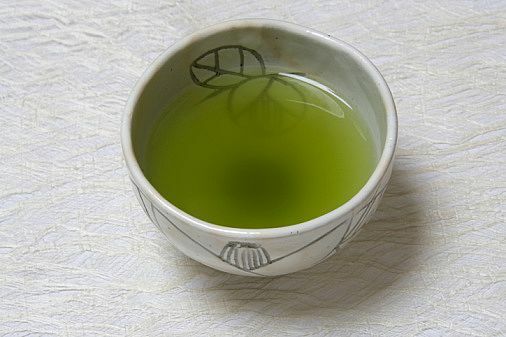 The catechins found in green tea also promote fat and carbohydrate metabolism. Belly Fat Buster - according to celeb nutritionist Keri Glassman, individuals working to get fit burned 7% more belly fat than those who worked out and drank other caffeinated drinks. Caffeine in general will burn extra fat when consumed 20 minutes prior to your workout. There are numerous studies that have show green tea has multiple health benefits, and is great for reducing your risk of skin cancer and fighting wrinkles. Experts say that to reap the benefits of green tea, you should drink 3-5 cups of tea every day, including a cup before your workout routine for both increased energy and fat loss. While coffee contains more caffeine than green tea (so you're thinking, why don't I just drink coffee instead? ), green tea contains more compounds that aid in fat loss (as mentioned above: catechins and EGCG), while possessing L-theanine which works to regulate the nervous system so you don't get that jittery feeling. Also, unless you are drinking your coffee black with splenda as a sweetner, you are at risk of added calories and sugar that typically come in those delicious lattes or macchiatos. My personal favorite: Yogi Green Tea Blueberry Slim Life, which contains even more fat burners for maximum weight loss benefits. It curbs my cravings and the blueberry flavor is sweet and satisfying. You can find it at most grocery stores, or order it online here. Hello there! I just have noticed that the Rss of this domain is working without any failures, did you complete all the properties by yourself or you used the default settings of this widget?